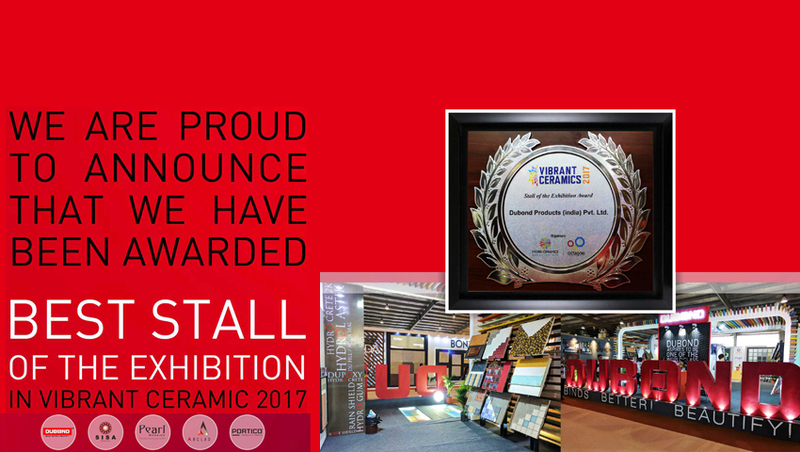 Synthetic Resin Based Primer in water dispersion, which is applied on ‘dusty’ absorbent substrates which do not require consolidation, in order to provide a uniform absorption to the substrate prior to the application of cement based coatings like tile adhesives. It is used as concrete bonding primer, Floor Primer, Epoxy Primer. Packaging Size (ex. 1L or 1Kg) 10 ltrs. Dubon'd Hydro Prime is a professional, superior technology, concentrated water-based surface insulation product that neuralizes the expansive chemical reaction of gypsum or anhydrite- based plastersand screeds on contact with cement- based adhesive. 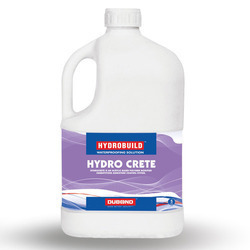 Reduces and regulates the absorption of water in highly porous substartes, stabilizing the surface consistency by suppressing the dust. Hydro Prime does not produces fumes that may beharmful to humans or to the environment. 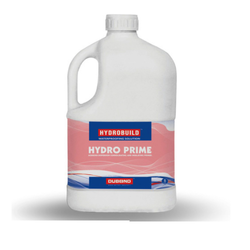 Hence, it can be safely used with no contradictions in internal environments The Hyro Prime technology ensures excellent work ability in all condition, thanks to the wide water dilution range, depending on the specific characteristics of the substrate. Does not produces any fumes. Neutralizes the expensive chemical reaction. Water based synthetic resin micro emulsion in aqueous dispersion. Packaging Details: Available in 1 Ltr. 5 Ltrs. 10 Ltrs. 20 Ltrs. Packaging Details: 1 Ltr. 5 Ltrs. 10 Ltrs. 20 Ltrs. 200 Ltrs. DUPUMP is a powder packed in pre-weighed pouches to be mixed with water at site. It is a unique compound of high performance components, which offers superlative cost reductions by saving time and protecting pump and pipe line. DUPUMP eases hydraulic pressure in the pump and pipe line and optimizes pump capacity when using “sticky” concrete mixes. DUPUMP is environment friendly and is not harmful to concrete, like chlorides or active air entraining substances. A knowledgeable operator and DUPUMP is a great combination. Operators dislike pump blockages as much you do. Once they understand how well Dupump works, they will insist on using it every time. Thus, the number of pump blockages will be minimized. The need for fewer expensive elbows and pipe is like money in the bank. Pump the tough jobs. DUPUMP used as a pump aid lets you do jobs that others have failed on. When a construction manager sees that you can pump a job that others cannot, you gain a customer. Faster priming means less time on job and more jobs, i.e., more revenue per day. Increases pump capacity - reduces pressure in concrete pump and pipes. Clean and easy preparation of the primer. In 5 minutes the equivalent primer is ready, as opposed to lugging sacks of sand and cement. Ready - to - use in pre - weighed pouches of 210gms, which corresponds to the equivalent contents of 50-150 kg of cement. Minimizes wear and abrasion of concrete delivery pipes. Outstanding time saving produces enhanced transport efficiency. The risk of “stop” and “block” is reduced to virtually nil. Add 1 pouch of 210gms DUPUMP to 25-30 litres of clean tap water and mix for 1-2 minutes. A sticky jelly texture will develop. Allow it to stand for 5-7 minutes. Add 120-150 litre of clean tap water. Now, pour Dupump slurry into the hopper. It will allow the slurry to be charged in the system ahead of the concrete. For better results, wetting of pipes before starting the priming of pipe. DUPUMP is supplied in 210gms pouch in boxes containing 100 pouches.